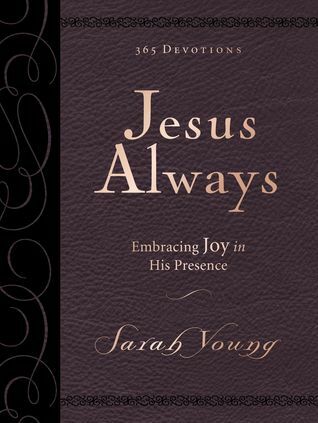 Reflect on the joy that can be yours because of Jesus in Jesus Always Large Deluxe, bestselling author Sarah Young’s first 365-day devotional since Jesus Calling ®, now available in large deluxe binding with Scripture written out, large Comfort Print™ text, and a beautiful leathersoft cover. Experience true joy—now and always. Cassandra's Review- The reader needs to know that this is strongly faith based and if they do not believe in God or Jesus, this is not going to be a believable read. While I personally think that keeping an open mind to all things is a good choice and following your heart and own beliefs, not what society gives you, is a great way to live. The book is written by the author but interpreted ad from Jesus in a devotional way.